Without proper ventilation, moisture and humidity problems can cause mold growth in barns and on equestrian equipment. 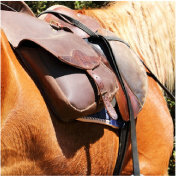 Regular exposure to the elements without proper ventilation and drying time can cause mold and mildew build up on equipment like saddles and reins. Always test on an inconspicuous section first. Then spray the affected area with Concrobium Mold Control and allow to dry thoroughly. 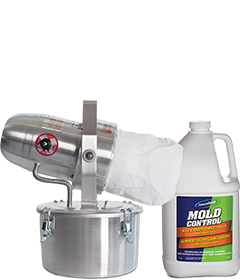 As it dries, Concrobium will crush the mold spores at the root and kill the existing mold. Next, scrub the surface with a Concrobium-dampened cloth or brush to remove remaining mold residue. 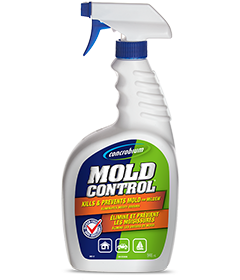 Reapply Concrobium to ensure a thin protective layer remains on the surface to prevent future mold growth. Controlling the relative humidity in barns to avoid excessive moisture can help to prevent mold and mildew from forming on surfaces and equipment. Want to remove that musty, damp smell from the entire barn? Fogging allows you to mist Concrobium through the air to cover large area’s affected by mold.